*NEW Autumn 2018* Year 8 China scheme of work. A fully updated version of the previous China scheme of work on this site. This is 8 lessons long and includes a GCSE-style assessment. Year 8 Tourism scheme of work. Written in collaboration with Helen Barratt at the Friary School. 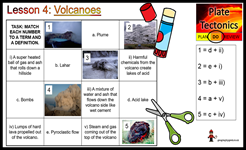 This fully resourced 11 lesson scheme of work includes a levelled assessment. Some resources have been omitted due to copyright restrictions (highlighted in red in the document). If you would like a copy of the 'Disappearing Britain - Blackpool' programme (cost £3 to cover materials, p&p), please contact me. *NEW Spring 2019* Year 8 scheme of work on Russia. Includes 13 fully resourced lessons, mid and end of unit assessments and a differentiated homework project. 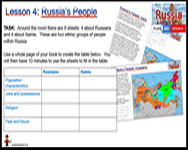 *NEW Autumn 2018* Year 9 scheme of work on Russia. Includes 14 fully resourced lessons, mid and end of unit assessments and a homework project. Year 9 mini scheme of work on superpowers (.rar format; to download as .zip, click here). I created superpower characters (intentionally stereotypical!) and a series of lessons to work through. The scheme finishes off with a moviemaker video activity. 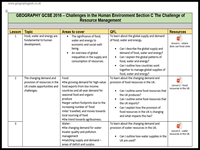 Key stage 3 scheme of work on Food and Water issues to fit with the 1-9 GCSEs. 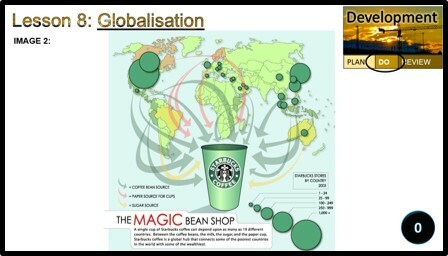 This 9 lesson module is fully resourced and includes opportunities for literacy and GIS. AQA 9-1 GCSE scheme of work - Food Resources. This is designed to use with the Cambridge University Press text book.